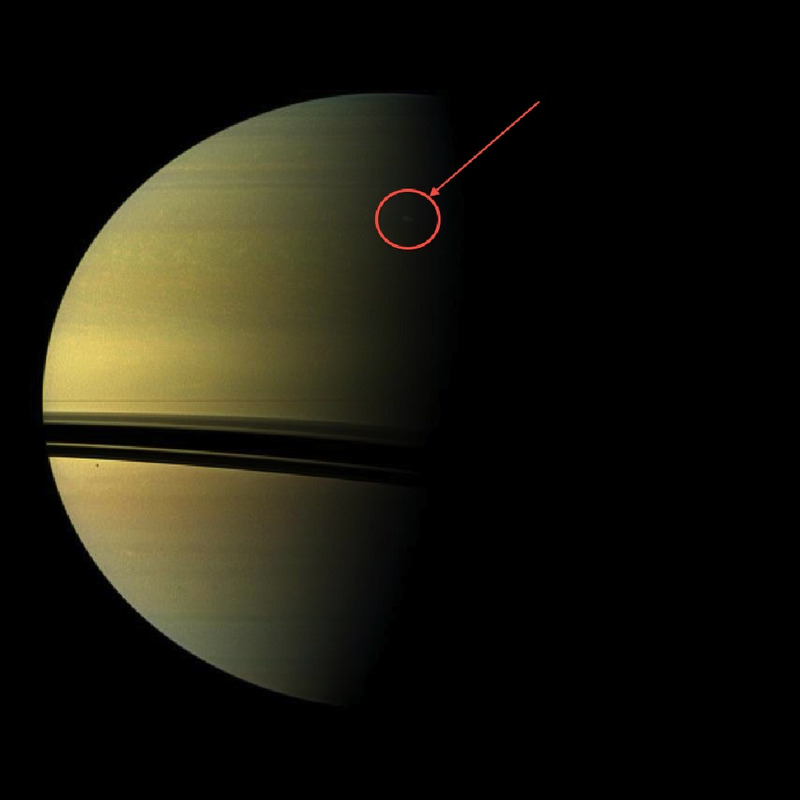 Image credit: NASA/JPL-Caltech/Space Science Institute; Cassini Imaging Team/CICLOPS. 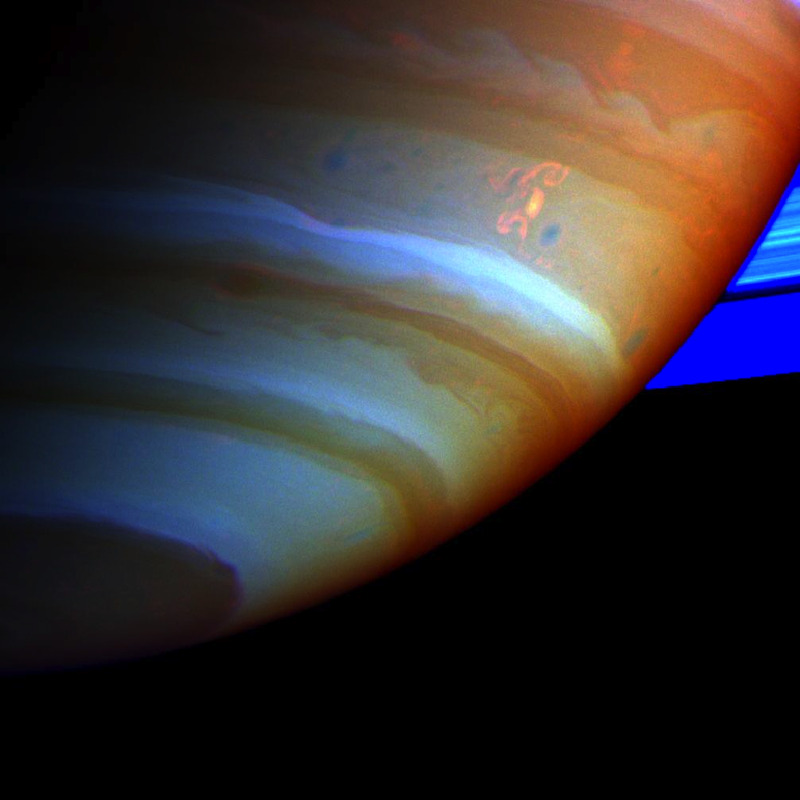 Image credit: ESO/Univ. 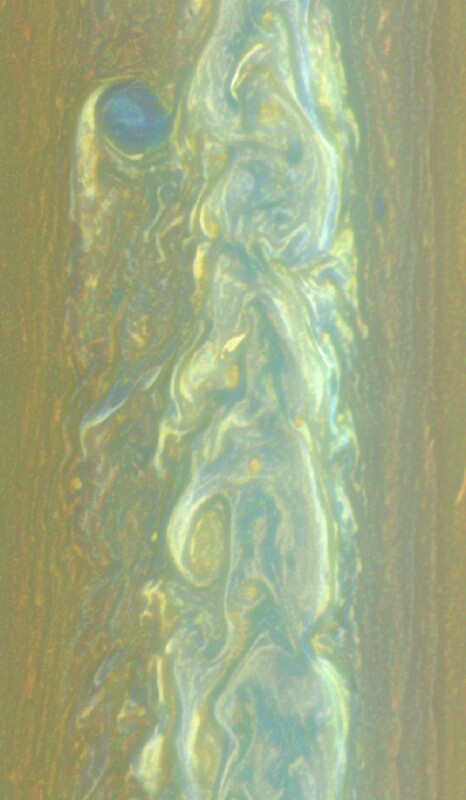 of Oxford/T. Barry, of Saturn’s 2011 storm in visible and various infrared wavelengths. 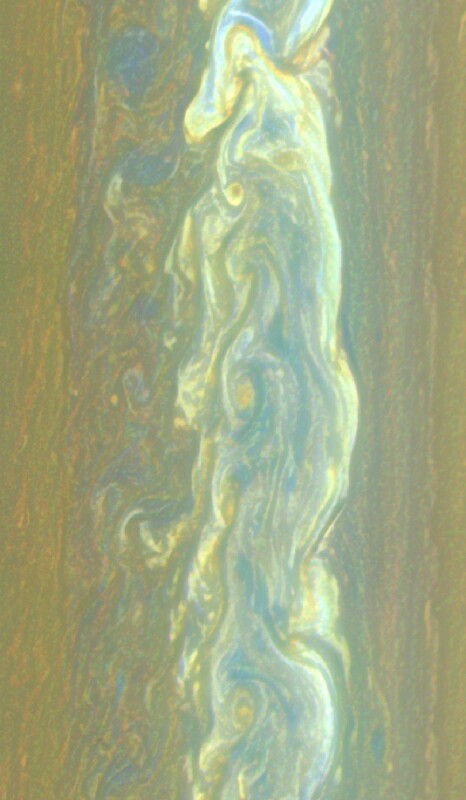 Image credit: NASA/JPL/Space Science Institute, of the Southern Hemisphere’s “Dragon Storm” of 2004 in false color. 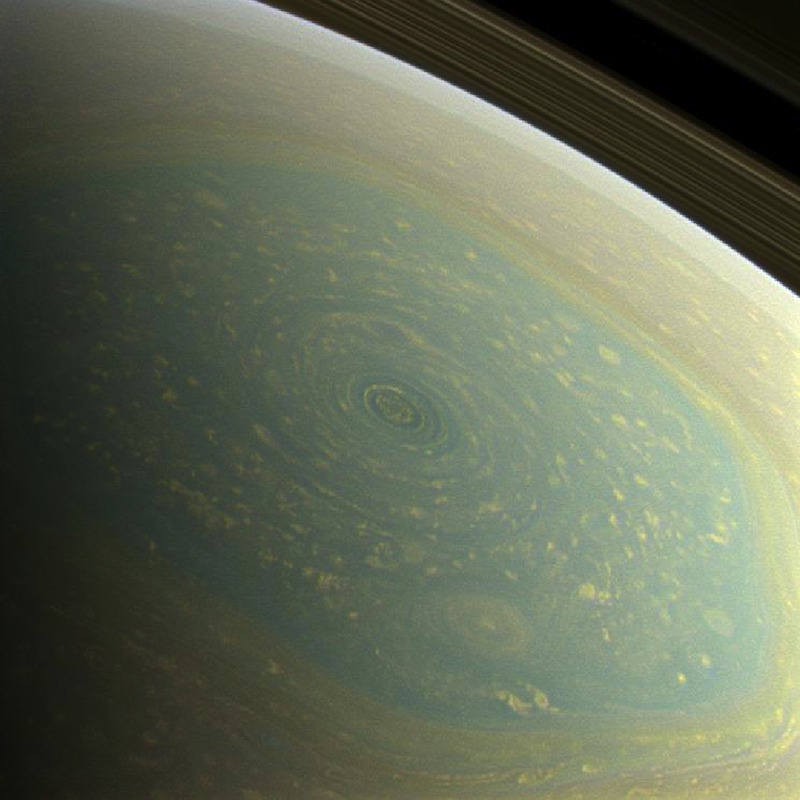 Image credit: NASA/JPL-Caltech/SSI, of Saturn’s north pole and its hexagonal storm in true color. 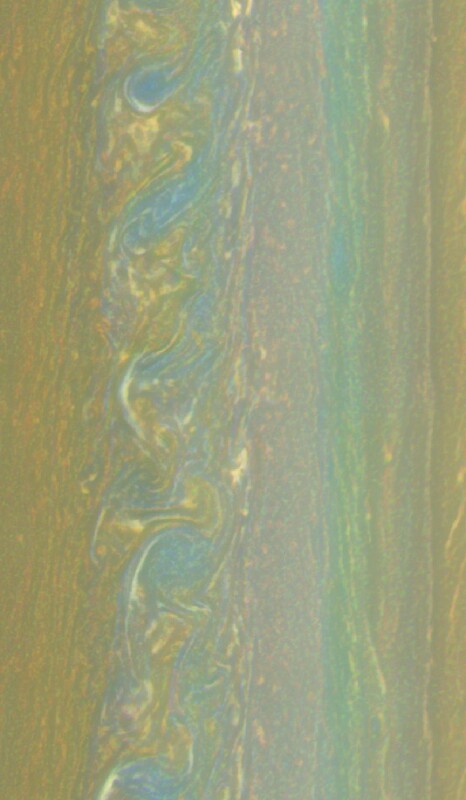 Image credit: NASA/JPL-Caltech/SSI/Hampton University, via http://www.jpl.nasa.gov/spaceimages/details.php?id=PIA17652, of Saturn’s north polar storm in false color. Image credit: NASA / JPL-Caltech / Space Science Institute, of the start of the 2010–2011 storm (annotation by me). 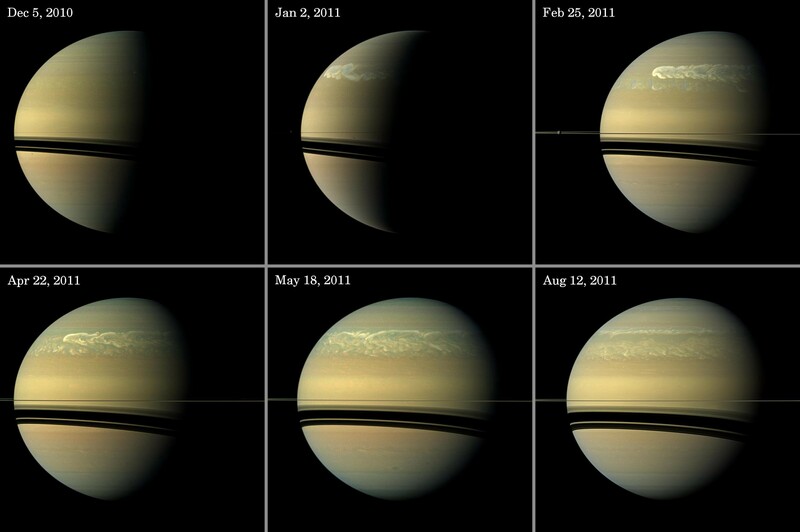 Image credit: NASA / JPL-Caltech / Space Science Institute, of the great storm’s evolution over a period of 8 months. 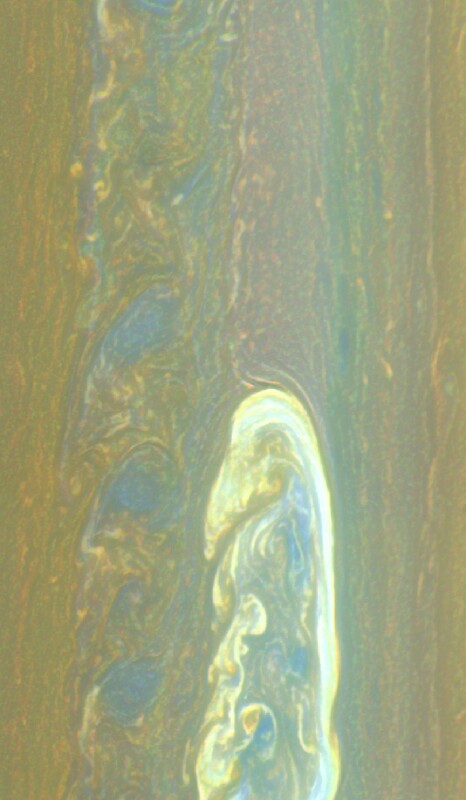 Image credit: NASA / JPL-Caltech / Space Science Institute, of a one-day difference in Saturn’s great 2011 storm. Image credit: NASA / JPL-Caltech / Space Science Institute, of Saturn (during its storm) in false-color. 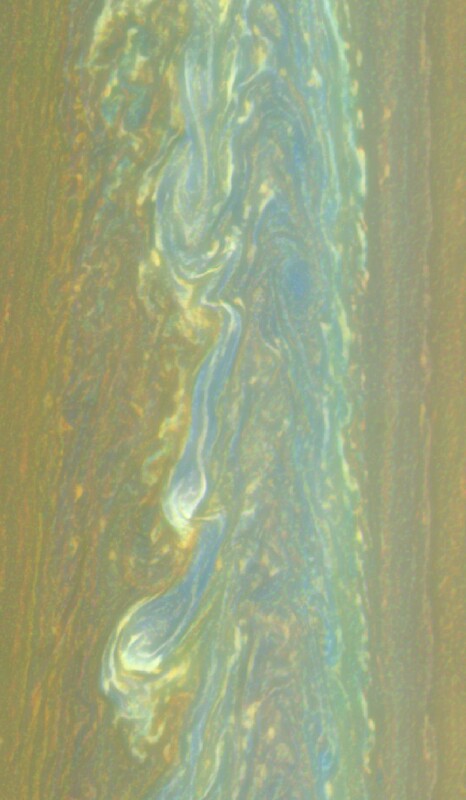 The lack of whitish/blue in the storm shows an absence of methane. 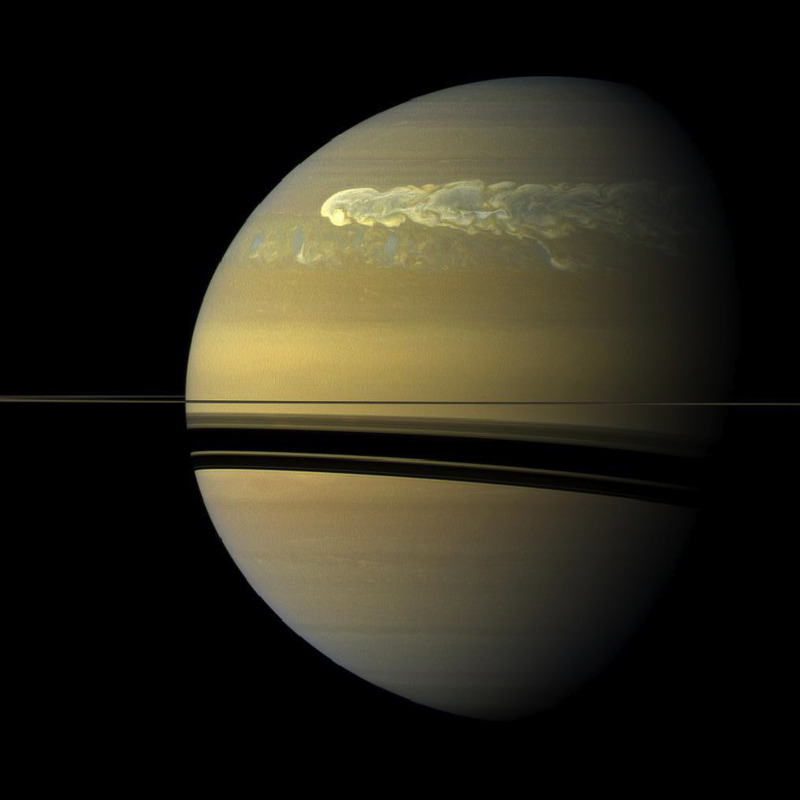 Like all the planets with atmospheres, Saturn contains its own weather, complete with storms both large and small. While the Cassini mission was able to discover a number of interesting ones on the ringed-world, such as the long-lived polar hexagon and the Southern hemisphere’s Dragon Storm, the most spectacular occurred in 2011, emerging in the northern hemisphere, encircling the entire planet, lapping itself and lasting over 200 days. While a handful of storms of this magnitude have been observed every 20–30 years or so dating back to 1876, this was the largest, longest-lived one. 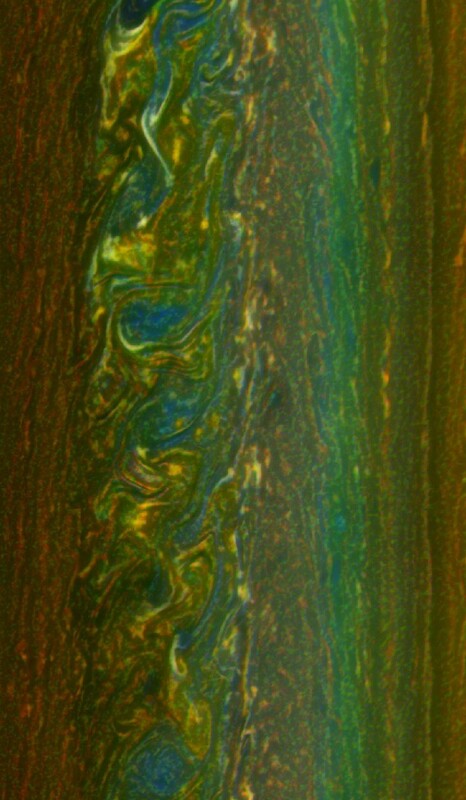 In April, we found these storms are suppressed by water vapor in the lower layers of Saturn’s atmosphere. 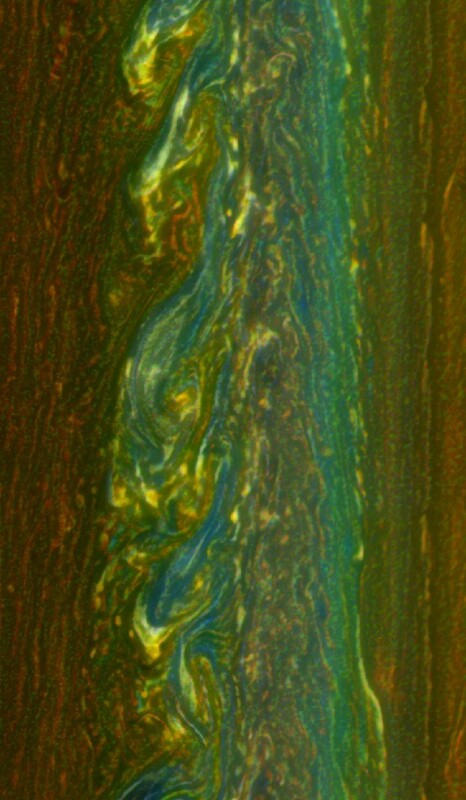 Being heavier than not only hydrogen and helium but also methane, the wet water vapor forms a layer underneath Saturn’s outer exosphere, insulating the inner part of the world. 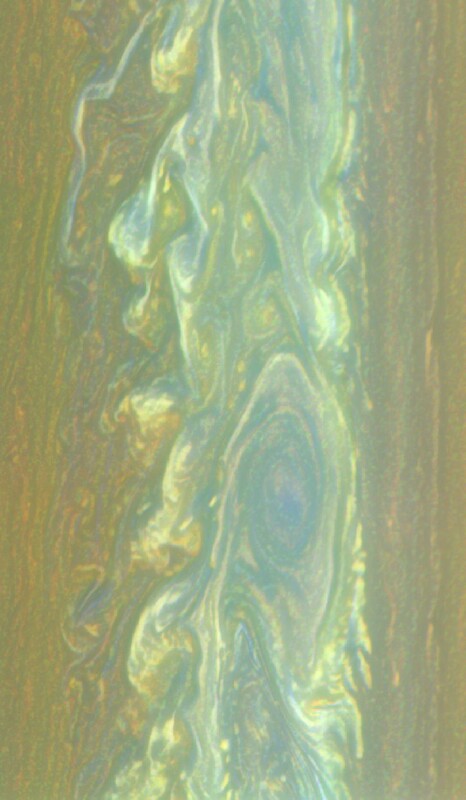 Eventually, the outer layers cool so much that they sink, allowing the inner, wet layers — and storms — to re-emerge. Having developed this picture from Cassini’s true and false-color images, the next major Saturnian storm, predicted for the 2030s, could finally teach us how much water our ringed neighbor contains. Images credit: NASA/JPL-Caltech/Space Science Institute, via the CICLOPS team of the Cassini mission, from https://www.ciclops.org/view/6756/Nearly-True-Color-Storm-Close-Up. 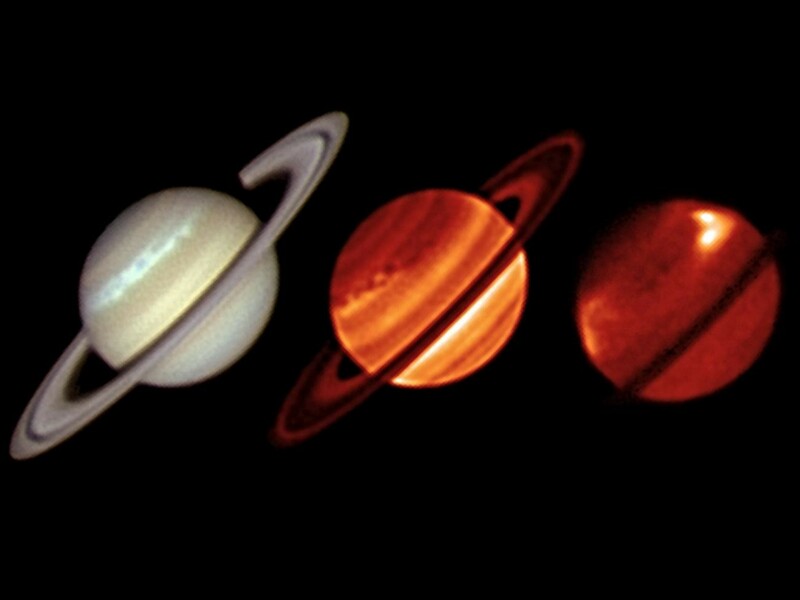 Mostly Mute Monday tells the story of a single astronomical phenomenon or object in visuals, images, video and no more than 200 words. 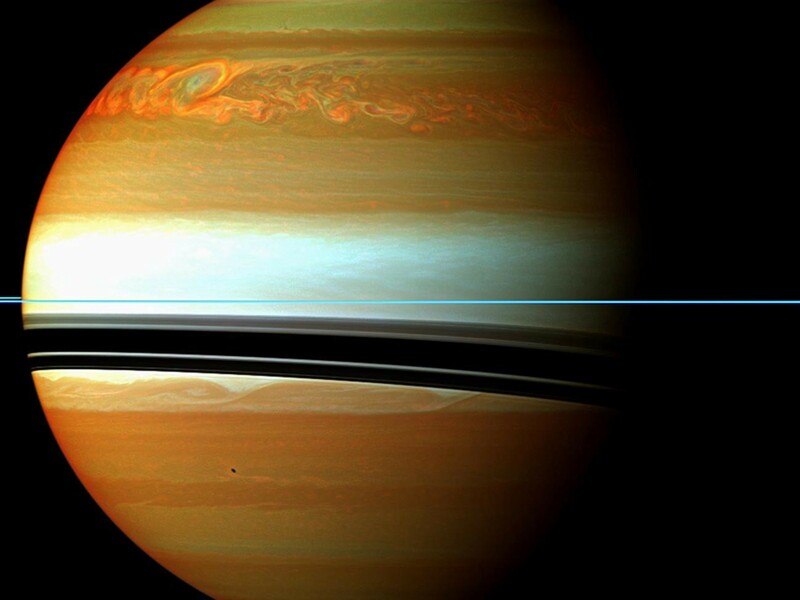 Leave your comments on our forum, and support Starts With A Bang on Patreon!